Collecting vintage medals and coins (known as exonumia) has been a fascinating and interesting hobby for many years. While much information is available about vintage military and art medals, little attention has been paid specifically to the collecting of vintage Catholic religious medals. I stumbled on to this fascinating area of exonumia when I started a small collection of medals for myself and over time (and in the spirit of "decluttering") I decided to sell a few of them on online. I was totally unprepared for the popularity of these medals; and wanting to make my listings as accurate and interesting as possible, I began researching the different types of medals, medal artists, and saints represented by these miniature pieces of art. 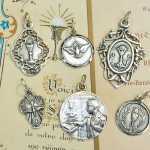 You can currently purchase vintage religious medals from my online store, Rosa Mystica Catholic Medals. ("Rosa Mystica" is Latin for "Mystical Rose". It's an ancient name for the Blessed Virgin Mary). Finding out about these medals proved more challenging than I thought it would be! I've never been able to find a book or another site devoted specifically to collecting vintage Catholic religious medals. 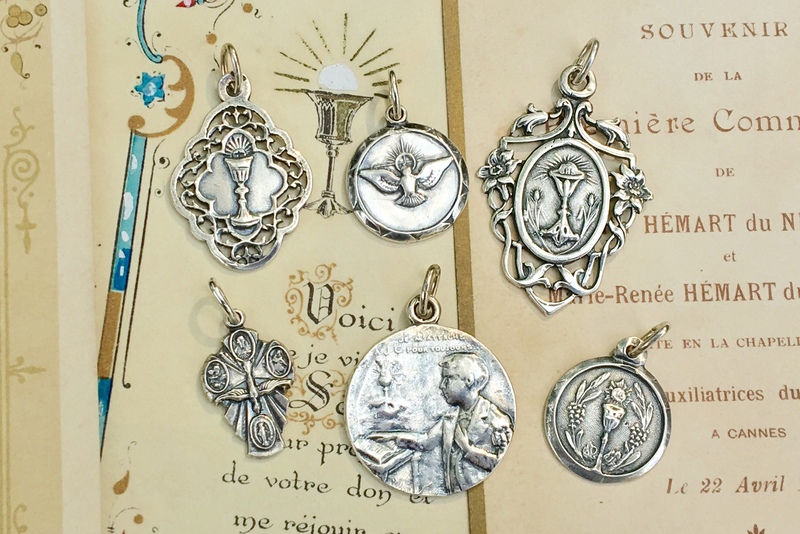 but thanks to numerous sites devoted to individual devotions, madonnas, and saints, in combination with sites that teach about vintage medals and medal artists in general, I've been able to begin to piece together the histories of these beautiful little testaments of faith. Although I'm not an expert on this subject, I've sold hundreds of religious medals over the last few years and have become quite familiar with their depictions and subjects. I thought that others who have a similar religious devotion or interest in collecting vintage religious medals would enjoy benefiting from what I've learned. Hopefully this fascinating subset of exonumia will grow in popularity and information will become more readily available as time goes by. In the meantime, please enjoy looking at the medals listed on my site and learning about their interesting histories.